Former Ghana international Otto Addo has been appointed assistant coach of Danish Superliga club FC Nordsjælland. 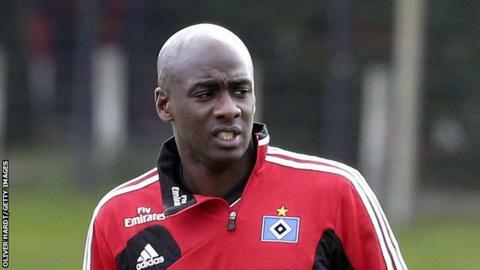 The 40-year-old has previously worked as a scout for the Black Stars as well as an assistant at German side Hamburg. "We have been looking for an addition to the team and with Otto on board we have a coach who understands the European and African mentality," Head of Football Carsten Jensen told the club website. Addo played for Ghana between 1999 and 2006, when he featured at that year's World Cup in Germany. One of a small but increasing number of Africans working as a coach in European football, he has welcomed his appointment. "I'm really thrilled for this new opportunity and I'm looking forward to meeting the other coaches and players," Addo told the club website. "I'm really excited with the big Danish talent here that can be supplemented by players from Right to Dream, this will give us an unique chance of developing people to the highest level." Right to Dream is a football academy that started in Ghana and which has students from seven different African countries. A former Bundesliga player with Hannover and Borussia Dortmund among others, Nordsjælland are hoping that Addo can pass on his experience to the club's next generation. Addo won the German league with Dortmund in 2002, the same year that the team were beaten by Dutch side Feyenoord in the Uefa Cup final, with Addo a second-half substitute. "Otto brings valuable experience with the German mentality, with more than 300 games in the Bundesliga and playing in the World Cup," added Jensen. "This mentality should help all our players to understand what it takes to play at the top level." The Danish Superliga is currently on a winter break but resumes in late February. Nordsjælland, whose sole title came in 2012, currently sit eighth in the 12-team league.